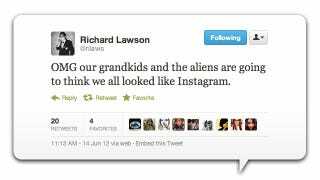 Will Instagram Warp Our Grandchildren's Perception of Reality? You know the old joke about how kids think their grandparents lived in an actual black and white world, because the only proof they have is ancient photos? Well what happens when the only photographic evidence of our lives is faux-filtered?